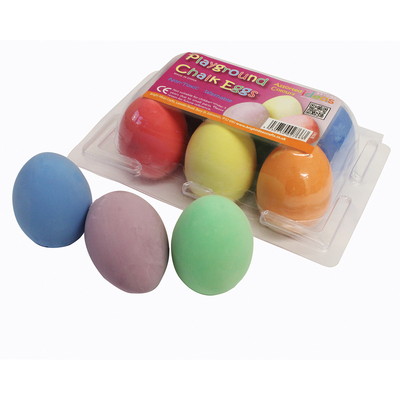 Engage their creativity from a young age with these Playground Chalk Eggs. Supplied in an assortment of bright and engaging colours, each egg has been designed for easy gripping within small hands. Supplied in a clear PVC egg box, each one is constructed from a child-safe chalk which can be used to create masterpieces on any surface. Allowing your pupils to express themselves while minimising the risk of permanent mess or damage, the resulting images can be washed away while keeping your playground dry at all times.